Charter members of the AFM’s newest local gathered January 8th to adopt bylaws, elect temporary officers, and chart the course of their new union. The Regional Mexicano Traveling Musicians Union, AFM Local 50 (Nongeographic), held its first meeting in the auditorium of Local 47 (Los Angeles, CA), connecting via the Internet to members in other parts of the US, who joined the meeting remotely. The new union represents traveling instrumentalists and vocalists performing the regional Mexican musical genre, which comprises local region-specific traditional music of Mexico. Local 50 is determined to meet head-on the problems of bribery and kickbacks that have routinely diverted hard-earned wages away from these musicians and into the pockets of music broadcasters and concert promoters. The traditional regional Mexican music is an industry apart from the more familiar Latin styles such as mariachi, Tejano, and salsa. Regional Mexican bands are typically family businesses and many are Spanish-speaking only. In the US, most of their performances take place on the road, and their careers depend heavily upon a web of concert promoters and broadcasters, which has left them vulnerable to unscrupulous practices and systematic exploitation. Regional Mexican music can be found concentrated in major market centers all over the US, and the bands travel from market to market each year. The AFM International Executive Board recognized the unique cultural and language-specific needs of this sector of the business. The awarding of a charter concludes a five-year search by the prime movers of the new local to find a support system upon which to build their new union. 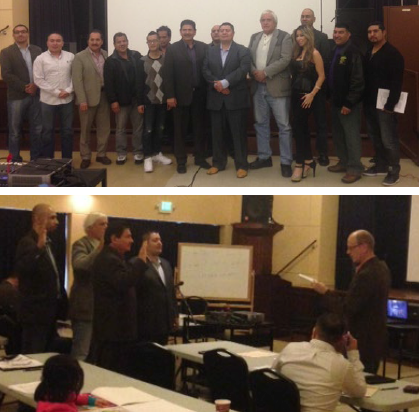 Top: Regional Mexicano Traveling Musicians Union, AFM Local 50 (Nongeographic), held its first meeting in the auditorium of Local 47 (Los Angeles, CA). Bottom: AFM Assistant to the President Kenneth Shirk (right) swears in the new officers. 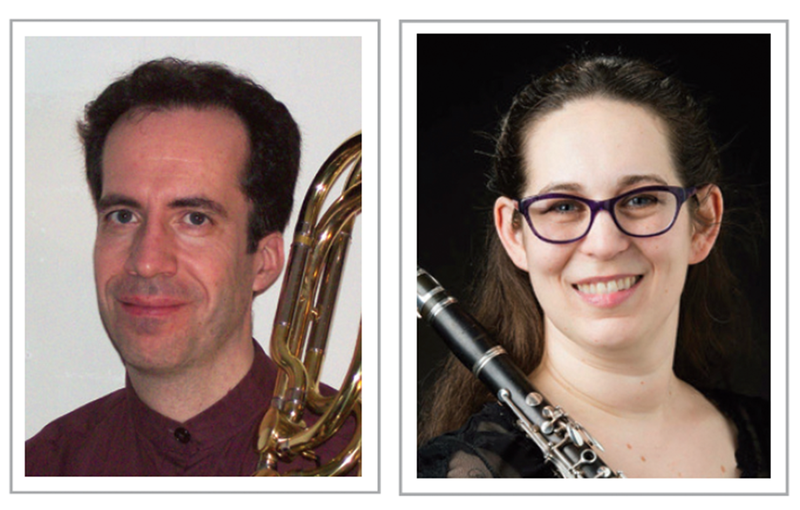 The Organization of Canadian Symphony Musicians (OCSM) will hold its annual conference at the Sheraton Hamilton Hotel in Hamilton, Ontario, August 12-16.